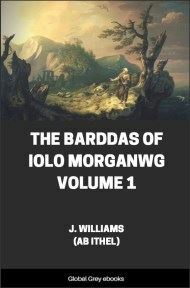 The Barddas of Iolo Morganwg is a collection of writings, largely forged, about ancient Welsh Bardic and Druidic beliefs. 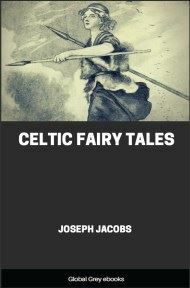 Although the author of this work is cited as J. Williams Ab Ithel, he was actually the editor, who pieced it together from manuscripts written by Iolo Morganwg (1747-1826), born Edward Williams, a native speaker of both English and Welsh, who spent his entire life collecting and transcribing mediaeval Welsh documents. It is necessary that we should, at the outset, bear in mind the following observation made by Cæsar, as to the comparative merits of the Continental and British systems: "The institution is thought to have originated in Britain, and to have been thence introduced into Gaul; and even now those who wish to become more accurately acquainted with it, generally repair thither, for the sake of learning it." 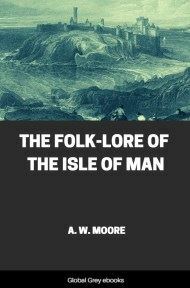 It is clear from this statement that Druidism, in Cæsar's time, was not considered as pure and as well understood on the Continent as it was in the British isle, its genuine home; an hypothesis, moreover, exactly in accordance with the traditions of the Bards:--"Bardism originated in the Isle of Britain--no other country ever obtained a proper comprehension of Bardism. 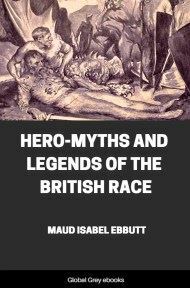 Three nations corrupted what they had learned of the Bardism of the Isle of Britain, blending with it heterogeneous principles, by which means they lost it: the Irish; the Cymry of Armorica; and the Germans." According to this view, we must not expect that the two systems should agree in all matters of detail, but only in principle and substance. "They preside over sacred things, have the charge of public and private sacrifices, and explain their religion. To them a great number of youths have recourse for the sake of acquiring instruction, and they are in great honour among them. For they generally settle all their disputes, both public and private; and if there is any transgression perpetrated, any murder committed, or any dispute about inheritance or boundaries, they decide in respect of them; they appoint rewards and penalties; and if any private or public person abides not by their decree, they restrain him from the sacrifices. This with them is the most severe punishment. Whoever are so interdicted, are ranked in the number of the impious and wicked; all forsake them, and shun their company and conversation, lest they should suffer disadvantage from contagion with them: nor is legal right rendered to them when they sue it, nor any honour conferred upon them. But one presides over all these Druids, who possesses the supreme authority among them. At his death, if any one of the others excels in dignity, the same succeeds him: but if several have equal pretensions, the president is elected by the votes of the Druids, sometimes even they contend about the supreme dignity by force of arms. At a certain time of the year, they assemble in session on a consecrated spot in the confines of the Carnutes, which is considered the central region of the whole of Gaul. Thither all, who have any disputes, come together from every side, and acquiesce in their judgments and decisions. 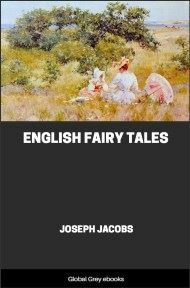 The institution is thought to have originated in Britain, and to have been thence introduced into Gaul, and even now, those who wish to become more accurately acquainted with it, generally repair thither for the sake of learning it. "The Druids usually abstain from war, nor do they pay taxes together with the others; they have exemption from warfare, and the free use of all things. Instigated by such advantages, many resort to their school even of their own accord, whilst others are sent by their parents and relations. There they are said to learn thoroughly a great number of verses. On that account, some continue at their education for twenty years. Nor do they deem it lawful to commit those things to writing; though, generally, in other cases, and in their public and private accounts, they use Greek letters. They appear to me to have established this custom for two reasons; because they would not have their tenets published, and because they would not have those, who learn them, by trusting to letters, neglect the exercise of memory; since it generally happens, that, owing to the safeguard of letters, they relax their diligence in learning, as well as their memory. In particular they wish to inculcate this idea, that souls do not die, but pass after death from one body to another; and they think that by this means men are very much instigated to the exercise of bravery, the fear of death being despised. They also dispute largely concerning the stars and their motion, the magnitude of the world and the earth, the nature of things, the force and power of the immortal gods, and instruct the youth in their principles.